Now, I'm not always really a Tim Holtz kind of girl. He's obviously talented but usually the style of his stamps is just 'more' than mine. But I fell in love with these trees as soon as I saw them! I stamped them several times, masking the bottom of the card. 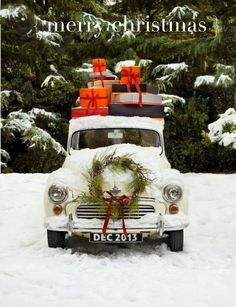 I then used a Gina K sentiment, stacking the words like the gifts are stacked on top of the car. Finally, I edged it in silver, to pick up the chrome of the car. This challenge ends on Wednesday, August 13 at midnight. Don't forget to link up here! Love the woodsy look created by those trees. The gold border frames them beautifully. And your sentiment looks terrific stacked that way. 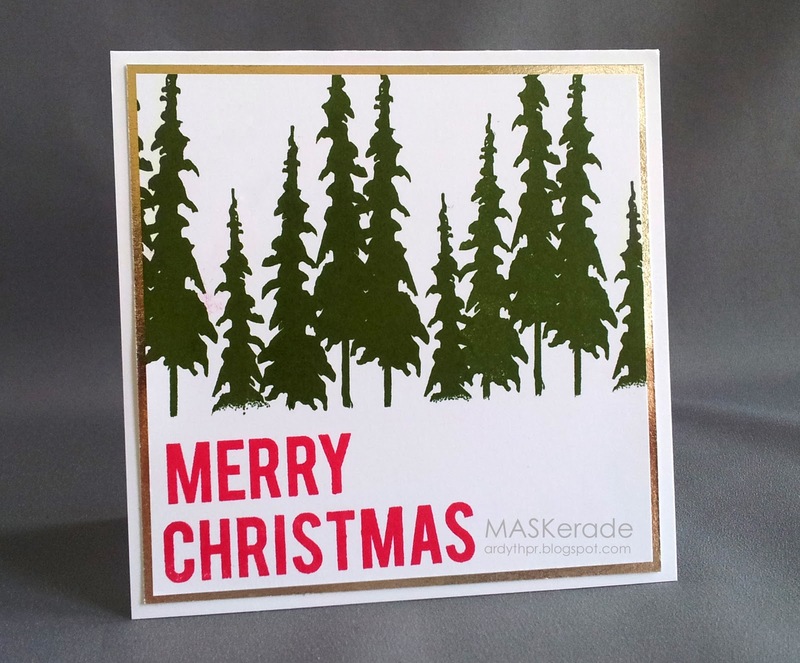 Those trees are amazing...flat stamped but look like they have so much texture! Those trees are wonderful Ardyth - they look great all in a row! Awesome trees, but even more awesome card! You managed to get your style to shine through - love it!